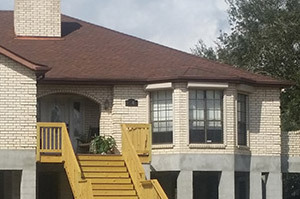 Lowe’s Construction, LLC is a full-service residential home renovation contractor based in New Orleans, LA. We are dedicated to the evaluation, installation and maintenance of your home. Our professional staff is qualified to evaluate your needs and will assist you in making the appropriate choice of materials and applications for your project. We are New Orleans home renovation experts who service all types of residential homes with complete knowledge and expertise. Our experience and craftsmanship set us apart from the competition. Lowe’s Construction, LLC specializes in all aspects of home renovation; home elevations from the ground up, siding, windows, doors, garages, kitchens, bathrooms, and more! Lowe's Construction, LLC provides a technical staff of highly trained professionals to handle all project aspects. From initial planning through final completion, our professionals proactively resolve any challenges to complete projects on time and on budget. The professionals at Lowe’s Construction, LLC are committed to providing you with the finest quality service with professionalism and attention to detail. We take great pride in taking care of each client’s needs from start to finish and are available around the clock to answer any questions you may have or clarify anything about your project. We are there for you throughout the entire process.